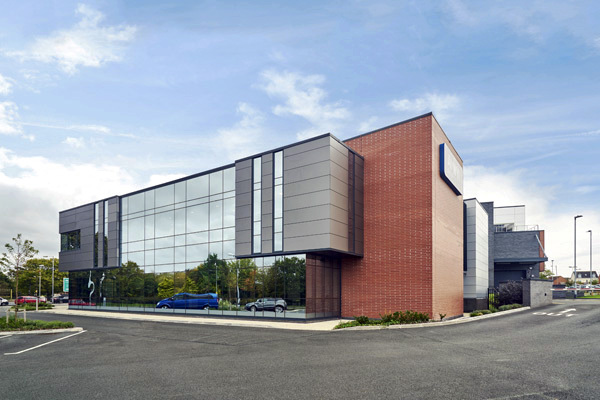 Anwyl House is located in a prominent location on the St David’s Business Park in Flintshire and provides Anwyl Construction with their new headquarters. The client’s brief was simple, they required an understated proposition with maximum internal efficiency. 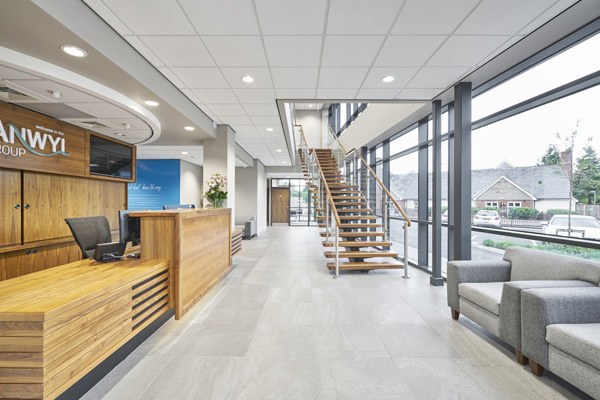 The two storey office building houses a contemporary ground floor reception area with a double height space to welcome clients and members of the public. 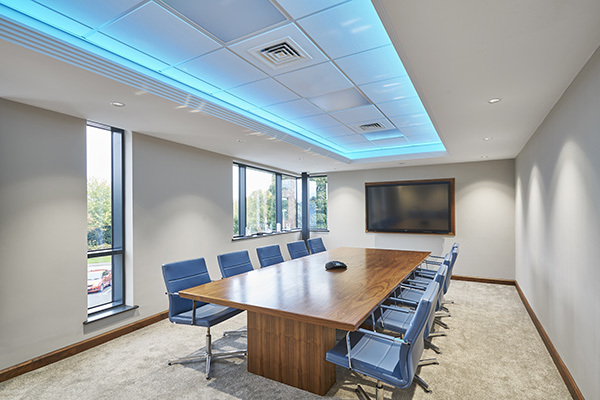 Training rooms and meeting suites allow for board meetings or informal staff meetings to be held, along with ample staff facilities including social spaces and a suite of director offices.